International Cat Day came into existence in 2002 for improving the quality of life of the cats around the world. They are venerated as one of the oldest companions of humans and thus regarded as great stress busters. As feline owners, we must take care of their expectations and demands which can improve the quality of their life. So, here are some ways you can do that. Cats are comfort lovers. They love to lounge in a place that is super soft and which adjusts perfectly according to their body. Try considering beds specially designed for the needs of the kitty. Supplements are a good way of compensating nutritional deficiencies that regular food is not able to provide. They are good for her joints and also improve the skin and coat making the kitty attractive when taken daily. Cats love cleanliness and always cover their litter behind them. Keeping the litter box clean will thus make her happy and she won’t poop anywhere else. Removing the litter immediately also prevents the growth of bacteria and keeps the environment clean. You cannot separate cats from catnips. They have special love for this plant. It gives some kind of relaxation to their minds and helps them stay calm and consumed. Plant one in your garden and you will always find your cat happy. Grooming your pet keeps her free of various infections. Weekly bathing and combing your cat helps prevent matt and also removes any flea debris. Apart from that, you get to check your cat for ticks. Furthermore, a grooming session also helps you to spend some quality time with your furry pal. Good idea right?! Well, you can also play with her while bathing if she is in a good mood. Treats are always coveted to make a day wonderful. What better occasion than International Cat Day to shower your love on the kitty. Reward your cat this day with few treats as a reward for her good behavior. Make sure you don’t go overboard as treats can lead to weight gain in felines. Cats love to roam in the town. They climb the walls or pounce on the rat, exhibiting their instinctual behavior of wandering and preying. Taking the cat outdoor also eliminates boredom and helps her stay fit. So plan a walk on this cat day and let her refresh herself, sniffing and enjoying various smells from all corners. However, take her on a collar and leash so you can control her movements. Hope these ideas will be helpful to you. They are definitely beneficial for her overall physical and mental health and will also provide you with some quality time to spend with your cat. Now, plan your day accordingly so you can make the most out of this International Cat Day with your feline friend! 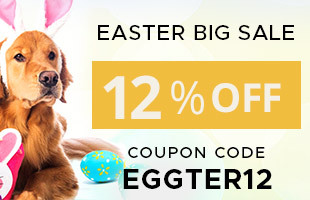 Does your dog love to eat just about anything? Keep a watch! We all know dogs love to explore and eat whatever they get in front of their eyes. In the quest of exploring things or satiating their hunger, they sometimes mistakenly ingest those objects or parts of it that can prove extremely dangerous to their health. Therefore, a pet owner must hide those objects from their furry companions. Keep them strictly away so they don’t nibble on those items and land themselves into trouble. 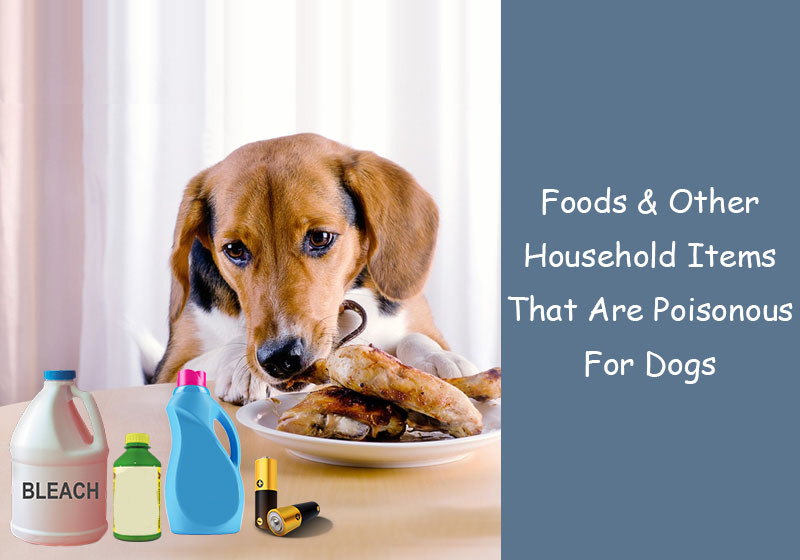 There are sundry household items and foods that can cause vomiting, diarrhea, depression, abnormal functioning of organs in dogs. So stay informed. It is surprising but true that chocolates can be hazardous to someone. Actually, chocolates and coffee contain methylxanthines which adversely acts on the pet’s body. A dog that has eaten a high quantity of chocolates must be taken to the vet immediately. These two food items cause vomiting, diarrhea, hyperactivity, seizures and abnormal heartbeat and hence must be strictly hidden from dogs. Alcohol or foods that contain alcohol can be hazardous to dogs as they cause vomiting, diarrhea, depression of central nervous system, abnormal breathing and even death. Provision of alcohol to pets must, therefore, be strictly prohibited. Grapes and raisins are associated with kidney dysfunction and failure in dogs. All sorts of nuts are bad for dogs. Be it almonds, macadamia, pecans or walnuts – they all have high oil content and can cause pancreatitis, vomiting, and diarrhea in your furry pal. Onions and garlic can lead to gastrointestinal disorders in pets. They are also known to cause significant damage to the red blood cells of the dog’s body. Thus must be avoided without carelessness. Refrain from giving any preparation that has these two products in it. When citrus fruits ( grapes, oranges, lemon), seeds, stem or leaves are eaten in high quantity, it can cause central nervous system depression and irritation in dogs. Keep a watch on your pet during festival times because most of these household things are eaten by your pet when you are busy partying. Working parents should completely hide these items in their absence. Do not give them table scraps as they may contain poisonous ingredients for a dog. Try not to use the ones you can avoid else keep them out of your pet’s reach. Keep him busy with other activities so that he doesn’t munch on just about anything. And most importantly give him well-balanced food and dietary supplements which will relieve his cravings. With fast-paced lives and ultra-modern diets, our Fidos are getting obese and we don’t even realize that unless the flab under their belly is prominently visible. Our sedentary lifestyle has also made our pets less active. Dogs that use to run and chase other dogs in the park are now confined to the laps of their owners. It is completely obvious that we love our furry munchkins and we make sure he is fed well. But, sadly we often forget to keep his calories in check, failing to get him the much needed physical activity. Dogs are meant to romp and get an adrenaline rush with intensity workouts. When they are not given the proper amount of exercise, they become fat and often exhibit behavioral changes. Thus it is extremely important that he gets enough exercise every day. Here are some signs that indicate your dog needs some activity sessions. The most obvious sign of being overweight is belly fat. A normal sized dog must have a tapered belly. You should be able to feel his bones easily if you touch his neck, ribs, abdomen or hips. If the case is not so, it means he needs to burn calories. Dogs get hyperactive when they don’t get enough exercise to burn their energy. You can see him racing all the time as if he has to lead the marathon. Lack of adequate activity level tends to cause such behavior in dogs. If you see your dog chewing shoes, pillows or furniture it certainly means he is bored and needs physical activity. They scratch or dig things to relieve themselves out of inactivity. This kind of destructive behavior often leads to aggression thereby causing harm to kids, other pets, and family members. 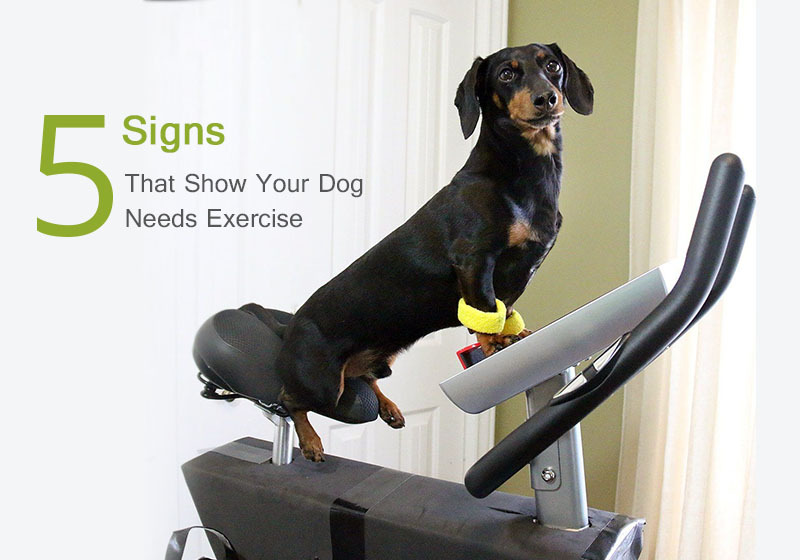 Therefore, exercise is necessary for your Fido to keep him sane. Barking and whining are signs that the dog wants your attention and is conveying you to take him out for some activity or play with him so as to burn off excess energy. The obvious reason is, he is bored and want to get into action mode. Some dogs tend to withdraw themselves from others when they feel a lack of exercise and playtime. They show reluctance to run and play when they don’t get their sessions routinely. Sometimes this reluctance is also associated with lack of balance due to fat deposition in joints. In this case, you must try to get him checked immediately and also start with gentle exercises that will pump up his heart without hurting his knees. These 5 signs are warning signals that your four-legged warrior isn’t fit enough and want to burn out his muscles with full throttle. Lack of physical activity also leads to boredom and depression in dogs, therefore make sure you spend quality time involving him in some physically challenging workouts. Although, do not resort to strenuous workouts initially. Be gentle with him and give him some nice stretches and run with him. Running is the best exercise for your dog to stay fit. So, if your Fido seems lethargic, gear him up and get going now! For increasing mobility in dogs, you can feed them supplements apart from giving a well-balanced diet. But do not fail to get him on his toes every day.